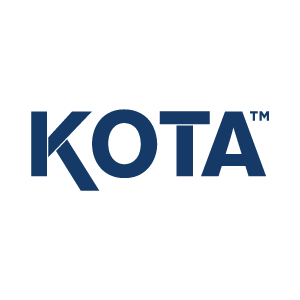 KOTA™ is a registered trade mark owned by W.Howard Kildare Limited. W.Howard Limited (registered in England and Wales, registration no: 996161) and W.Howard Kildare Limited (registered in Ireland, registration no: IE586890) are part of the W.Howard Group. All the information and material provided on this website is solely for illustrative purposes. It is not intended to and does not create any business, contractual or employment relationship with W.Howard Group. All the information, contents, text, including but not limited to html code, photography and video, is either the property of W.Howard Group or is licensed for their use only. It may not be copied, reproduced, republished, posted, transmitted, or distributed in any way without our express, advance, written consent. The information on this site is provided free of charge and for informational purposes. It does not create a business, employment or professional services relationship between you and W.Howard Group. Links on this site may lead to services or sites not operated by W.Howard Group. No judgement or warranty is made with respect to such other services or sites and W.Howard Group takes no responsibility for such other sites or services. A link to another site or service is not an endorsement of that site or service. Any use you make of the information provided on this site, or any site or service linked to by this site, is at your own risk. This site is provided "as is" and W.Howard Group expressly disclaims all warranties of any kind whether express or implied including the warranties of merchantability and fitness for a particular purpose. We use Google Analytics which sets a cookie in order to evaluate your use of our website and compile reports for us on activity on it. Google stores the information collected by the cookie on servers in the United States. Google may also transfer this information to third parties where required to do so by law, or where such third parties process the information on Google's behalf. Google will not associate your IP address with any other data held by Google. By using the website, you consent to the processing of data about you by Google in the manner and for the purposes set out above. If you wish to restrict or block the cookies which are set by our website or any other website, you can do this through your browser settings. The Help function within your browser should tell you how or alternatively go to visit www.aboutcookies.org which contains information on how to do this on a wide variety of browsers. You will also find details on how to delete cookies from your computer as well as more general information about cookies. In no event shall W.Howard Group or any of their employees or contractors be liable for any damages whatsoever in connection with the information or material on this web site, including but not limited to actual, consequential, direct, exemplary, incidental, indirect, punitive or special damages.